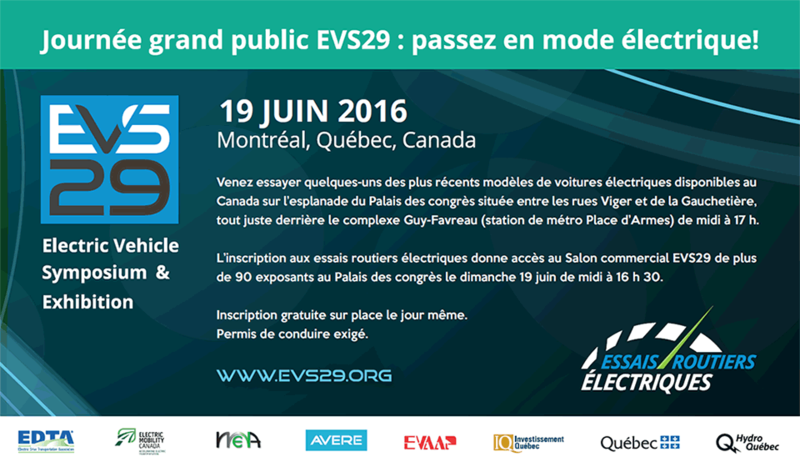 Should the Quebec government continue to subsidize the purchase of electric vehicles? This is a reply to Bertrand Shepper and Germain Belzile’s essays (March 19, 2018) published in LaPresse. Most countries have set ambitious targets to reduce GHG emissions. How can we achieve these goals? Of course, we must limit our dependence on oil and work on several fronts. For the transportation sector it means offering better services in an integrated fashion: adding clean transit options, promote active transportation (cycling, walking), car sharing. Transportation electrification is an integral part of the solution. which offers a subsidy at the federal level in addition to the one offered in several states –, as well as the subsidies in France, Norway, the Netherlands and the UK. In addition, some countries apply additional taxes to cars that produce a lot of GHGs in order to increase the benefits of EVs, thus producing convincing results. In 2017, the Ontario government increased its subsidy for the purchase of an EV to $ 14,000, and as a result more EVs were sold there than in Quebec last year. On top of subsidies is the other important asset of a growing public charging infrastructure to reassure EV drivers. The oil and natural gas industry (owned largely by foreign interests) benefits annually from tax incentives and grants exceeding $3 billion annually, a fact that is rarely acknowledged. In addition and regardless of the sector, emerging markets, changes in consumption patterns and launch of new eco products require financial support from governments, for a determined period of time, to create sufficient volume to lower prices. The solar industry, the energy efficiency sector and the wind industry are some good examples. Subsidies are a necessity to increase the pace of adoption of EVs. The transition towards EVs has undeniably started. The battery range of these vehicles is increasing, and all manufacturers are investing heavily to add several all-electric models, including SUVs. The variety of EVs offered is expanding, and is now penetrating all market segments. We must seize the opportunities of this transition period. From coast to coast, now is the time for governments to invest. If we add mass communication measures to make all the attributes of EVs well-known, we will have all the assets to move to a real mass market, and put an end to the subsidies. We must “plug-in” to this cutting-edge, super-efficient and increasingly affordable technology, and we must do it as soon as possible to free ourselves from fossil fuels and the damages they cause to our health and the environment. Founded in 2005, Electric Mobility Canada is a national membership-based not-for-profit organization dedicated exclusively to the promotion of electric mobility as a readily available and important solution to Canada’s emerging energy and environmental issues. Its more than 150 members represent the whole value chain of the electric vehicle industry.